We’re getting ready to head down to the Hollywood district for day 3 of HPLFF. I’m reading with Cody Goodfellow at 3PM at the EOD center. Hope to see some of you there! 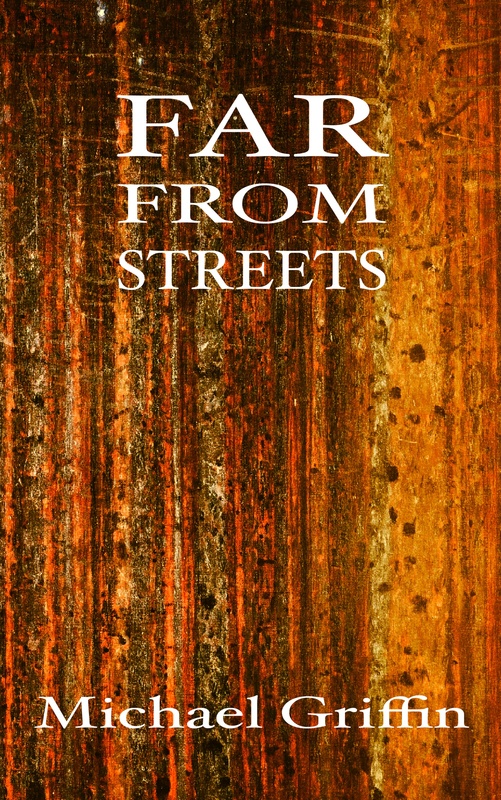 I’ll be reading from Far From Streets, for the first time. 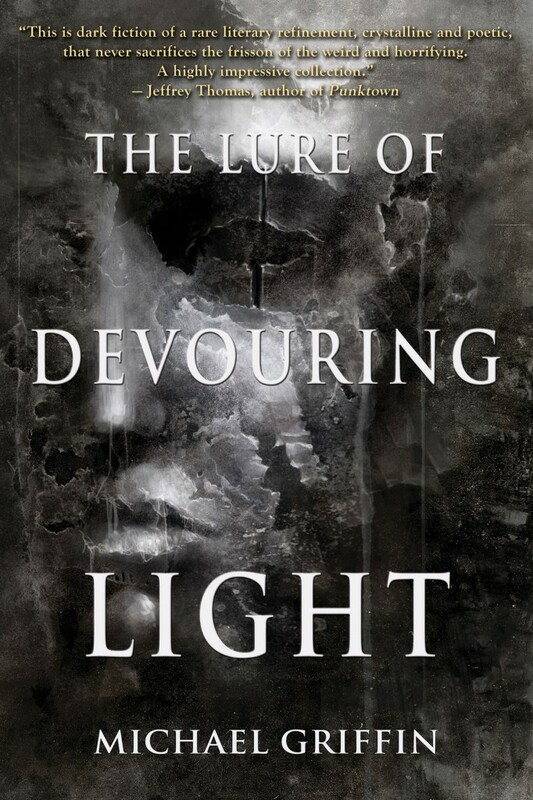 By now I’ve shown the cover of The Lure of Devouring Light, I’ve given the table of contents, bragged about my blurbs from Laird Barron, S.P. Miskowski, Jeffrey Thomas and Michael Cisco, and most recently mentioned the flattering review in Publishers Weekly. But maybe you’re wondering what these stories are all about. 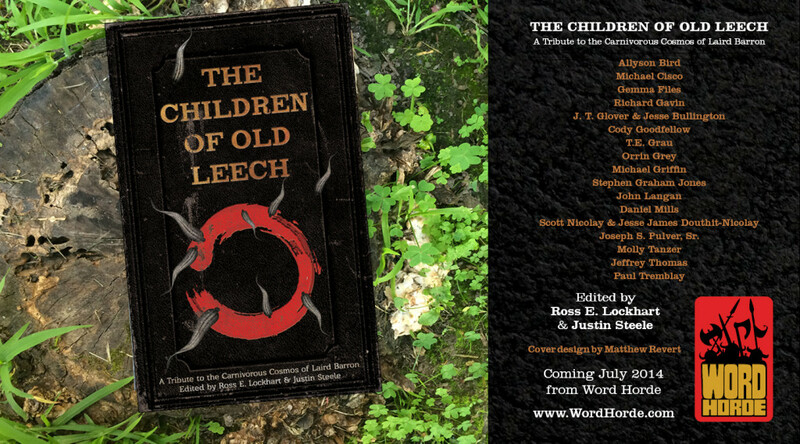 The majority of the book by word count (though not a majority of the stories by number) is previously unpublished. Also, some stories were previously published, but never widely seen. Most of the pages in The Lure of Devouring Light will be unfamiliar, except for those few readers who made a s serious effort to track down all my work along the way. For this reason, I’d like to go through the table of contents and say something about each story. There will be no spoilers, no excerpts from the text, only a bit about where it came from, and where (if) it was previously published. It’s customary that story collections, especially those from newer writers, include an introduction by a more established writer. The reason for this may be to let an author with greater clout or credibility offer a sort of endorsement, or provide insight in the form of analysis, a sort of map or guide to what should be made of the texts that follow. I feel very fortunate to have an intro by John Langan. It’s my opinion that John’s last book, The Wide Carnivorous Sky and Other Monstrous Geographies, might have been the best collection of 2013, which is really saying something, considering what else came out that year, including Laird Barron’s The Beautiful Thing That Awaits Us All. John is far from unknown, but I feel most readers have not yet come to adequately appreciate a powerful, talented and impressive writer he is. But they will come to understand, I have no doubt. John is just too damn good a writer. I won’t spoil anything John says in the intro, but I will say John Langan was my first choice to fill this slot. I’m flattered and delighted to have an introduction for my first book from someone whose work stands at the pinnacle of present day Horror and Weird Fiction. The title story was my first professional publication. It came out in Apex Magazine, issue 47 in April, 2013, when Lynne Thomas was editor of Apex. Of course, I was very pleased to have a story in such a notably excellent and high-profile magazine. That year, Apex was up for the Hugo Award in the Best Semi-Pro Zine category, so of course I was hoping they would win so I could take all the credit. Alas, Apex came 2nd for that prize. My story did receive a bit of notice. Many people sent me comments about it, which was my first experience with that. I even heard from a New York agent, expressing admiration for my prose and asking if I had a novel to submit. One notable thing about “The Lure of Devouring Light” is that this story was originally written on spec for a themed anthology, but ended up being rejected. Of course rejection is never enjoyable, but in this case I was especially disappointed because I had created the story especially for this theme, this book. My anecdote may sound like sour grapes, but its point is not “how dare that editor reject me?” but something else. If the story had been accepted for that anthology, it could not have been accepted by Apex Magazine, where I received my first professional sale, and where the story received more notice than it might have otherwise. I believe that says a little something about the experience of emerging writers. Be patient. If the work is good, a rejection doesn’t matter. This story may be my favorite among the previously unpublished stories here, not counting the giant novella “The Black Vein Runs Deep,” specially crafted to give extra heft to the end of the collection. Most of my stories are about strange places, and some are inspired by actual locales encountered in the real world. This is one of those. My wife Lena and I hike a lot, in all kinds of settings within 2-3 hours drive of Portland, where we live. For a while we were very fond of one of the state parks, because in addition to setting in the bend of a beautiful river, and a slope up through the trees a high overlook, it was also very near home, and had good parking and clean bathrooms. In one of our hikes there, early in the Spring after frequent and steady rains had given way to a blast of heat, we encountered trails bogged down with mud, and overgrown with certain plant life that had overreacted to a couple weeks of sunlight. Even some of the elements in the story that may sound as if they could not possibly exist in a public park were in fact found to exist… at least if a little imagination could be used to explain certain things which appeared to lay beyond fenced boundaries. For many, “Far From Streets” is the most anticipated inclusion in this book. 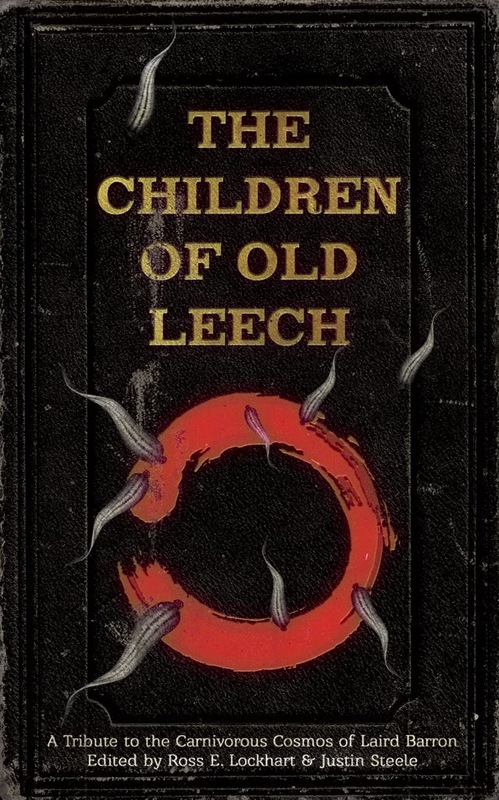 The novella was previously published in a very small edition, and achieved a fair amount of enthusiastic word of mouth, but because it went out of print before publication, a lot of people who had heard good things about it were unable to find copies. It came about at NecronomiCon 2013. I was invited by Jordan Krall to write something for Dunhams Manor Press. I believe Jordan had been talked into this by Scott Nicolay, with whom Jordan had driven to Providence from New Jersey. Because this was to be a stand-alone book, I saw this as an opportunity to write longer than was usually allowed by magazines or anthologies. I decided to rework an old story idea I really loved, but which had stalled, into a length that would allow me to do it justice. This problem had occurred several times in my earlier years as a writer — I would come up with something like a novel-sized idea and try to squeeze it into the 5,000 words usually allowed. So I ended up with folders full of ideas I had tried to write, stories I really wanted to tell, but which I had never been capable of pulling off, given the constraints of short story length. Having permission to write longer gave me the opportunity to revisit and flesh out such a very personal story idea, and work it out in depth. It was a difficult but wonderful and enlightening process. I believed it was by far the best thing I’d yet written, but I was unsure how people would receive it. The story seemed very strange, and I wondered how it would come across. Because of publishing lead times, nobody ended up reading what I had written for quite a while after I was finished, so I had plenty of time to worry I had made it too strange, too philosophical or too perversely dark. When the book came out, the reception was strongly and uniformly positive. This was a great experience, hearing from people who had ordered the book, or friends to whom I’d given copies. “Far From Streets” will always be an important milestone in my development, both from my inward perspective as a writer, and in terms of how other people began to recognize me as someone they wanted to read. Another previously unpublished piece. Some stories which include a lot of “drawn from life” influence bring it all from one place, one experience or one person. Others stitch together varied parts from different times and locations to create a strange brew, unpredictable because of the disparity of the ingredients. This story is of the latter type. This story’s background is much like “The Lure of Devouring Light” above, written on spec for a themed anthology for which it didn’t make the cut. Disappointment at that “failure” was quickly replaced by elation at the home my story found with the next place I sent it. “Arches and Pillars” was my first acceptance by the highly regarded Horror magazine, Black Static. 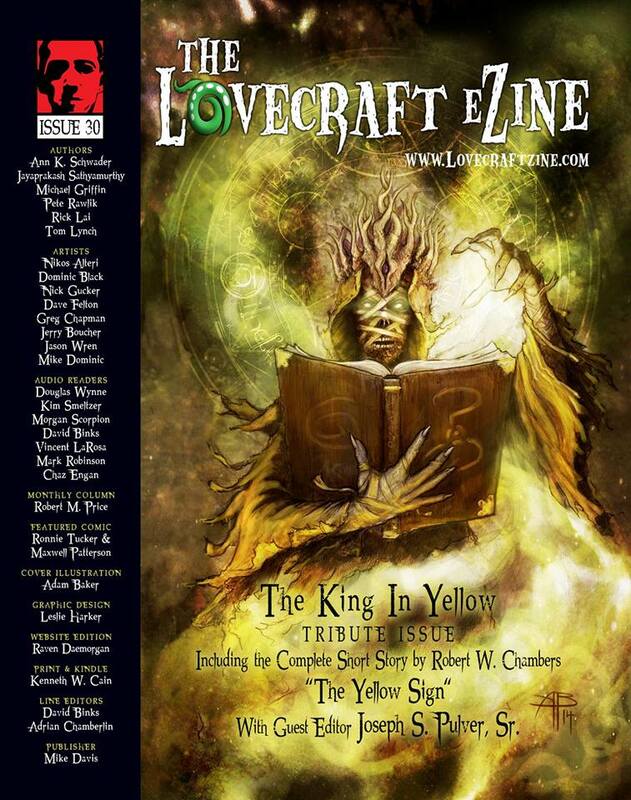 I appeared in issue 35, July 2013, along with Daniel Mills, who has turned out to be the writer with whom I’ve shared a Table of Contents more often than any other, so far. Stay tuned for the sequel to this post, in which I’ll discuss the six stories in the second half of the book. 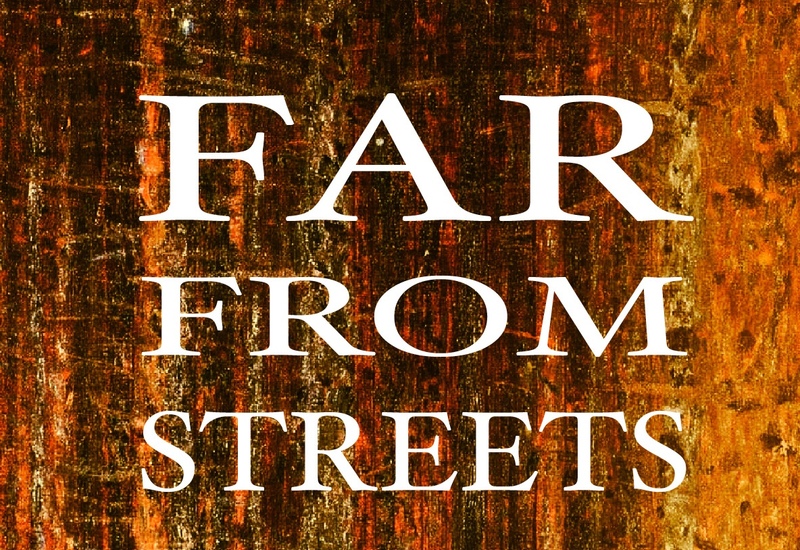 Recently I mentioned a few initial reactions to Far From Streets, my novella published this summer by Dunhams Manor Press. The prior announcement was not a hoax. FAR FROM STREETS is now ready to pre-order! It’s only $7, though I think that’s is an introductory deal, and the price will increase soon. 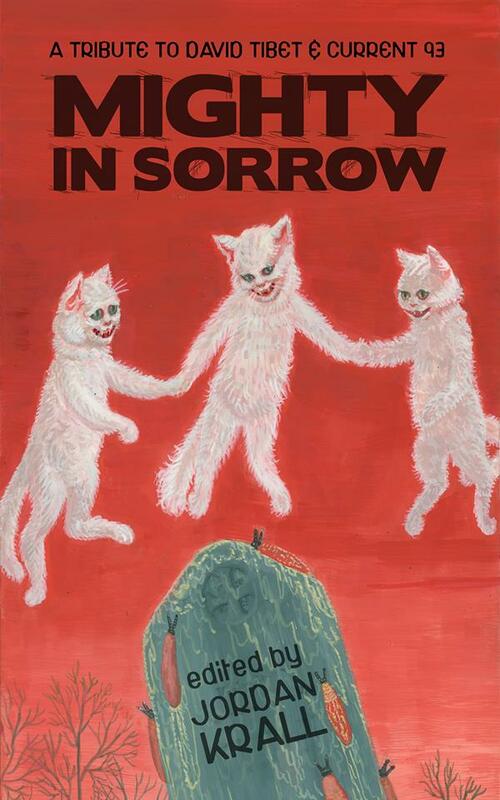 I’ve referred to this as a chapbook, but it’s actually a full novella, over 100 pages, not some little pamphlet. I’ve described FAR FROM STREETS as “Antichrist meets The Willows.” It’s a weird tale of relationship disintegration, and the beguiling and terrifying aspects of wilderness. This book is a limited edition, and we expect (hope) it will go out of print fairly quickly. If you’re interested in getting one, be ready to order in a super-duper hurry. In a recent update, I mentioned my upcoming novella “Far From Streets.” I’ve been given the go-ahead by the publisher, Dunhams Manor Press, to announce that this will be available to preorder soon. 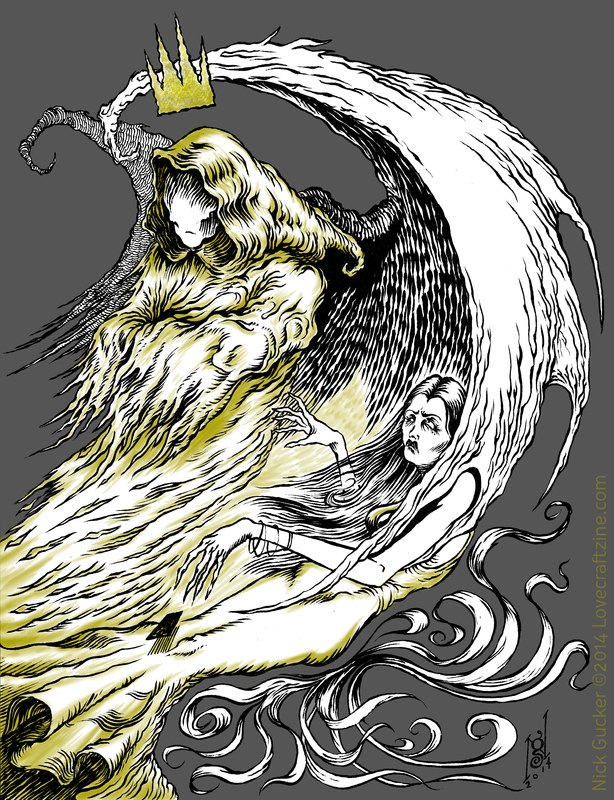 Dunhams Manor Press has released some nice chapbooks of weird fiction by Nicole Cushing, Daniel Mills, Jordan Krall and others. In addition to my own upcoming release, the press will be doing books by Joseph S. Pulver Sr., Scott Nicolay, Wilum H. Pugmire, and T.E. Grau. These are very limited editions (usually 25 or 33 or 50 copies) and generally sell out in pre-order, so if you have any interest in obtaining one, it’s best to order as soon as they’re announced. Soon I’ll say a bit more about the story, in case you need a bit more of a nudge in order to be interested. For now I’m very pleased and excited to let everyone know this is coming. My thanks to Jordan Krall of Dunhams Manor Press for making this happen.